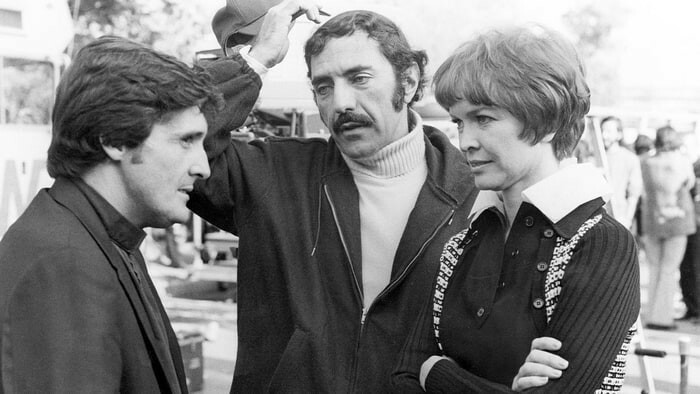 William Peter Blatty, the man who helped to revolutionize the horror genre both in print and on the big screen with his best-selling 1971 novel The Exorcist and its equally successful 1973 screen adaptation, died on January 12, only a few days after his 89th birthday. The news was reported by his friend and collaborator William Friedkin, who stated that the cause of death was multiple myeloma. As soon as his death was announced, tributes came from all over with most of them, not surprisingly, focusing on “The Exorcist” and the extraordinary influence that it continues to have on writers, filmmakers and fans to this day. However, Blatty was more than just a one-trick pony and while his other projects may not have reached the same commercial peaks as “The Exorcist,” they would go on to form an undeniably interesting body of work that would also include a couple of bona-fide cinematic cult classics. Blatty was born in New York City on January 7, 1928, the child of Lebanese immigrants. After attending Jesuit school, he went on to graduate from Georgetown University and earned his master’s degree in English from George Washington University. Working as a door-to-door vacuum salesman and beer truck driver, he then enlisted in the United States Air Force and went to work in their Psychological Warfare division. After leaving the service, he worked for a while in the United States Information Agency office in Beirut before trying to make it as an actor or writer. He got his first break when he served as a ghost writer for Abigail van Buren—a.k.a.“Dear Abby”—on her 1959 best-seller “Dear Teenager,” a work that earned her a citation for “Mother of the Year.” The next year, he published again under his own name with Which Way to Mecca, Jack? (1960), a book inspired by his own early years and his time spent working at the U.S. Information Agency. To promote the book, he appeared as a contestant on the Groucho Marx game show “You Bet Your Life” and won $10,000, an amount large enough to allow him to write full-time. Over the next few years, he would publish the novels John Goldfarb, Please Come Home (1963), I, Billy Shakespeare (1965) and Twinkle Twinkle “Killer” Kane (1966). While these books would all receive critical acclaim, the sales were modest at best. Blatty then returned to the world of fiction with a novel that was inspired in part by a story that he heard about while studying at Georgetown about an alleged case of demonic possession and a subsequent exorcism that was said to have occurred in 1949 in Maryland. The result was, of course, “The Exorcist” and it would go on to become a massive hit that spent 57 weeks on the New York Times list of best-sellers, 17 of them at #1. He would then adapt the book for the screen for director William Friedkin, who would stay fairly faithful to the book and create an enormous hit out of the story himself—it would become one of the most popular films ever made and earned Blatty an Academy Award for Best Adapted Screenplay. It would also go on to inspire a virtual cottage industry, including a number of sequels, a stage adaptation, a television series that debuted on Fox this past fall and a countless number of ripoffs, spoofs and the like. I suppose that I should confess that “The Exorcist” has never quite had the impact on me that it clearly had on so many people when it was released and that it continues to exert on people today—as a non-Catholic, the story never quite resonated with me in the same manner that it presumably did with those who did believe. I was only two in 1973, I didn’t see it when it originally came out but by the time I eventually caught up with it, I had seen so many knockoffs and heard so many jokes about pea soup, rotating heads and unspeakable uses for crucifixes that the shock and surprise was long gone. And yet, even if I cannot fully get into it, I can still be impressed by the tremendous achievements that Blatty pulled off with it. He was one of the first novelists to take the horror genre out of the Gothic trappings where it had largely remained for decades and transposed it into a contemporary setting that readers could more easily recognize and accept—by putting unimaginable evil in a world of movie stars, astronauts and fast-food restaurants, it forced readers to recognize the unnerving possibility that such horrors could be set in such seemingly mundane settings. And by making the victim of demonic possession into a young girl, he cannily took adult fears in the wake of then-current societal conflict regarding what used to be called “the generation gap”—that their formerly sweet-natured children were transforming into violent, drug-crazed monsters that they could hardly recognize—and gave them a fiction form that still holds up decades later. After the success of “The Exorcist” left him in the position of being able to do practically anything that he wanted, he set about reworking one of his earlier projects, the novel “Twinkle Twinkle “Killer” Kane,” first as a book retitled “The Ninth Configuration” published in 1978 and then as a film of the same name released in 1980 that he wrote, directed and helped to finance. The story is a bizarre combination of dark comedy and psychological thriller that is set within the walls of a remote castle that the U.S. military has commissioned to serve as an asylum for mentally disturbed soldiers to work through their problems by allowing them free reign to live out their own unique fantasies. As it begins, Colonel Vincent Kane (Stacy Keach) arrives at the castle in order to take charge of the place and oversee the care of the patients, including an astronaut (Scott Wilson) who had a crackup right on the launchpad and another (Jason Miller) who is attempting to stage a production of “Hamlet” with dogs in the parts. While seeing to the patients, Kane becomes involved in a long-running debate with the astronaut over the nature of God—Kane believes in the existence of God while the astronaut refuses to buy into the idea of any sort of divine plan. As time passes, however, Col. Kane is plagued with a series of strange nightmares and hallucinations and there are suspicions among the others that he may indeed be crazier than they are. In 1983, Blatty published Legion, a semi-sequel to “The Exorcist” that focused on the original novel’s character Lt. Kinderman as he investigates a series of highly blasphemous murders that are reminiscent of the work of a serial killer who supposedly died years earlier, though the body was never found. 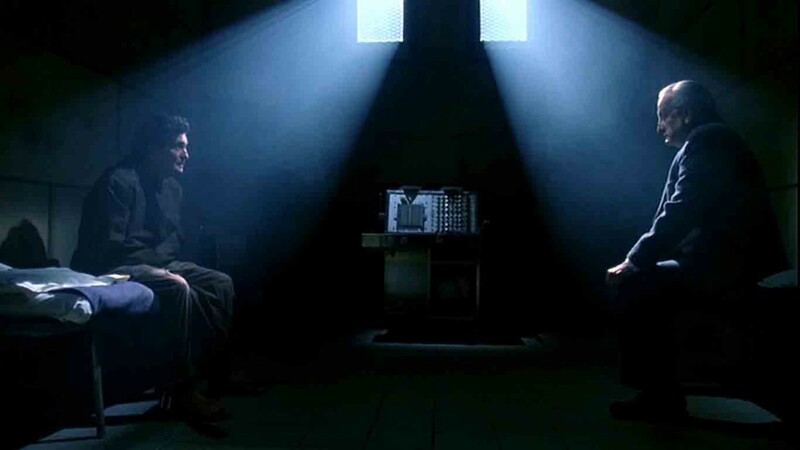 As he pursues the case of the so-called Gemini Killer, he uncovers certain links between the case and the events covered in “The Exorcist” while pondering the nature of evil and how God can allow it to be inflicted on humanity. A few years later, Blatty got the chance to write and direct the screen version of "Legion" with George C. Scott as Kinderman. 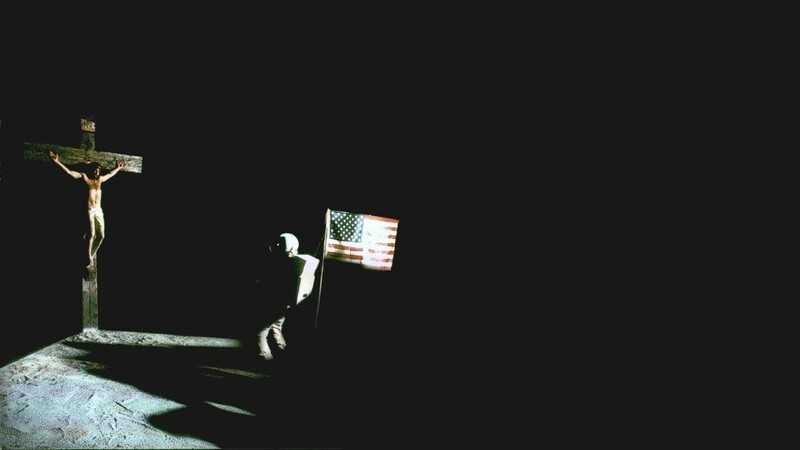 Alas, this production did not go nearly as smoothly as “The Ninth Configuration.” For starters, the producers insisted on retitling it “The Exorcist III,” despite Blatty’s fears that the terrible reputation of “Exorcist II: The Heretic” (1978) (which both the book and the film ignore) would work against it. More significantly, they demanded extensive reshoots that included a brand-new ending that would include an exorcism, an element that Blatty had deliberate refused to include in his book and original cut. When it finally came out in 1990, it was a flop at the box-office that effectively ended interest in the franchise for more than a decade. However, last year saw the release of a Blu-ray that included both the theatrical cut of the film as well as a reconstruction utilizing VHS tapes of the dailies of the deleted scenes to approximate Blatty’s original vision. “The Exorcist III” is an undeniably compromised effort and there are a lot of problems with it. And yet, despite all of its undeniable flaws, it is still an often-fascinating work in the way that it tries to subvert audience expectations by trying to give them a thought-provoking narrative about the nature of good and evil rather than the gallons of blood and vomit that they were presumably waiting to see. Blatty gets a number of strong performances from his cast—it may be the last truly impressive big screen performance that George C. Scott would ever give—and throws in some bits of surreal strangeness that give even “The Ninth Configuration” a run for its money—there is a dream sequence set in Heaven with basketball star Patrick Ewing as an angel that must be seen to be believed. Best of all, it contains one spellbinding extended sequence set in a largely deserted hospital corridor that I will not reveal any more about except to note that it is easily one of the most genuinely terrifying things that I have ever seen in a film and something that continues to give me a start no matter how often I have seen it over the years. Sadly, Blatty never got a chance to work in films again, aside from helping to contribute to a re-release of “The Exorcist” in 2000 that included the restoration of a few scenes he wished that Friedkin had left in the first time around, including the so-called “spider walk” sequence. (As it turns out, Friedkin was right in cutting them in the first place.) In his later years, he published a few more novels—Elsewhere (2009), Dimter (2010) and Crazy (2010)—and in 2011 released a 40th anniversary reprint of “The Exorcist” featuring some new and revised material. Based on the quality of the films that he was able to make, one can only wonder at what he might have been allowed to come up with if his earlier efforts had been more financially successful. Nevertheless, William Peter Blatty was a true original and his work will continue to haunt the dreams of readers and moviegoers for generations to come.